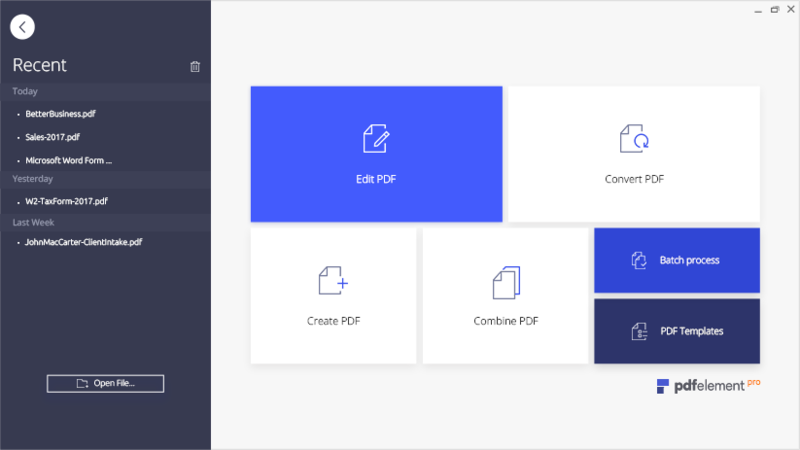 This PDF editor provides powerful features and amazing design that's so easy to use. Transform how you deal with forms with our powerful automated form recognition technology that saves you both paper and time. Turn flat or any non-fillable form made in Word, Excel, or any other application into a fillable and editable PDF form with just one click. Edit forms quickly and make any field fillable by adding text fields, check boxes, buttons, and more. Build forms from hundreds of ready-to-use templates from our built-in form library, so you don't have to start from scratch. Our intelligent form automation makes data extraction easy, efficient and accurate in just one click. Capture and extract data from the hundreds or thousands of interactive forms filled by your clients into one Excel .CSV spreadsheet in seconds. Eliminate tedious manual data entry that causes errors. Our advanced OCR technology transforms piles of paper documents into archive-friendly and analysis-ready formats. Extract data from custom fields on a scanned invoice or form with easy setup, then apply the same data extraction rules to hundreds of scanned PDFs with the identical layout, and export all the data into one single spreadsheet. Customizable extraction rules ensures your data is properly labeled in your Excel sheet, and ready for analysis and reporting. Get a smarter, faster editing experience that is like MS Word. Change or add as many lines or words as you want without ruining the original page layout - thanks to our intelligent paragraph recognition technology. Fix typos with instant spell check while editing your documents. Automatically match fonts and style accurately from your original documents. A revamped design makes sure you enjoy working with your documents. It looks great and provides a remarkably simple user experience. Produce better results with improved colors, icons and typography that reduces eyestrain for long-time reading and editing. Our new Office-inspired interface is seamless across Windows & Mac providing you with a shorter learning curve. Simplified toolbar, quick start menu and reading window aide faster navigation and access to features. See why millions of people love how it simplify their document tasks.